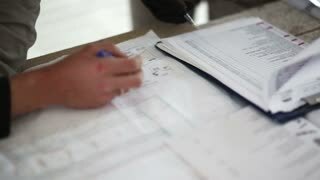 Confident engineer making a note on clipboard. 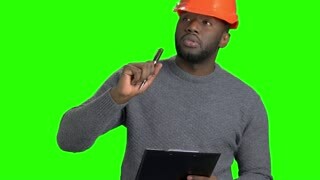 Afro american foreman in hard hat writing on clipboard on chroma key background. Checking new object. 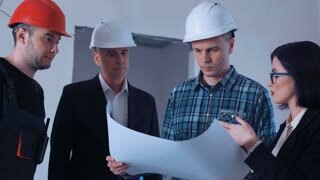 Male engineer checking new object. 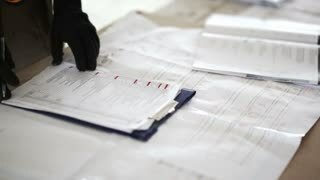 Afro american supervisor in hard hat making a note on clipboard on Alpha Channel background. 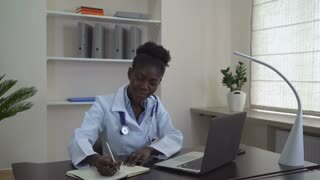 Afro american engineer working on digital tablet. 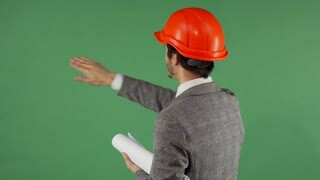 Handsome dark-skinned architect in orange hard hat working on digital tablet on chroma key background. Rear view studio shot of a professional architect wearing hard hat moving objects on green chromakey screen. 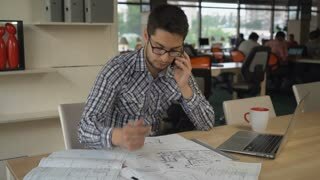 Male engineer working with futuristic technologies. Modern technology concept.